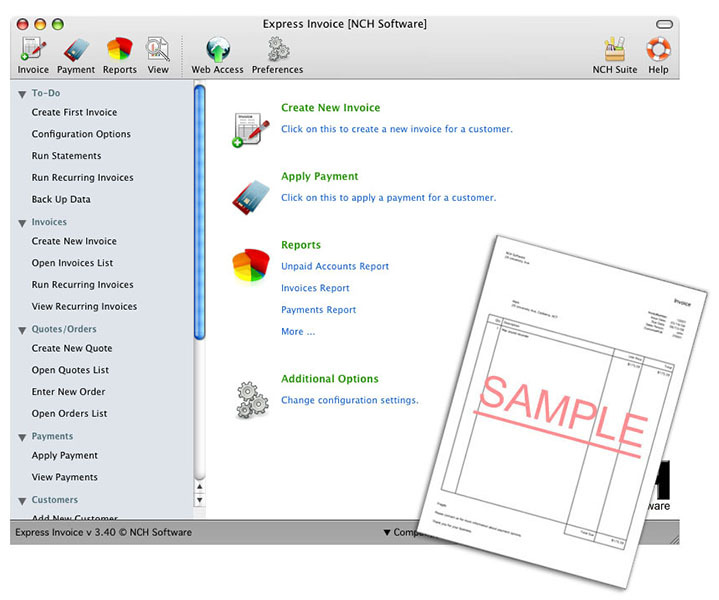 Express Invoices is a professional invoice package for Mac OS X. Create invoices, quotes and orders, apply payments and generate reports. 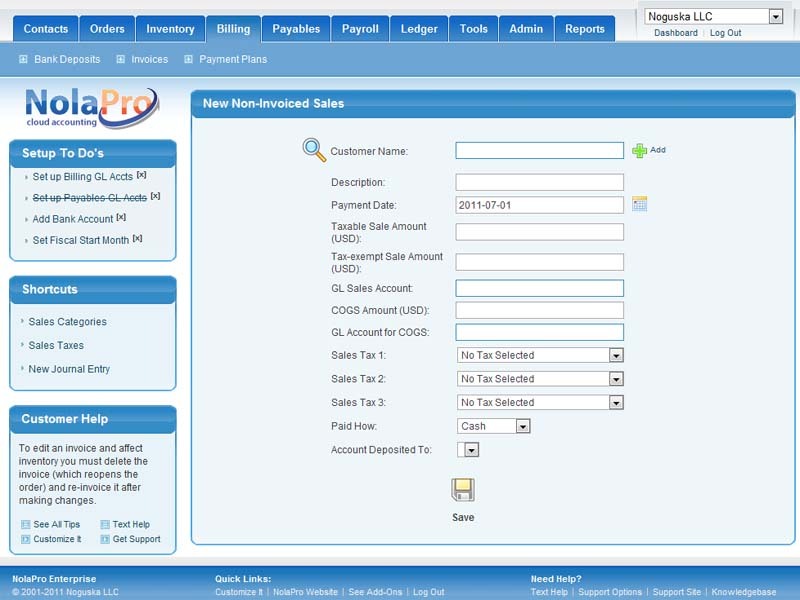 Features web console access so multiple users can access to create invoices, manage clients and generate reports. You can then print, email or fax your invoices to your clients directly from the application. This free invoice software allows you to create re-occurring invoices for ongoing services and link to credit card gateways to easily process payments for goods and services. Express Invoicing also includes a number of standard reports such as unpaid accounts, payments, sales person, accounting reports and more. * Web access for multiple users from a standard web browser. * MAPI or SMTP email send settings include Secure Socket Layer (SSL). * Includes standard reports such as accounting, sales person, unpaid invoices and more.